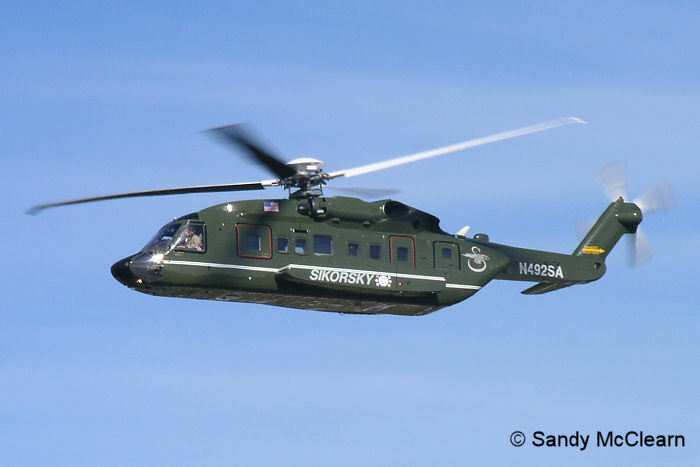 Information from Sikorsky web site. 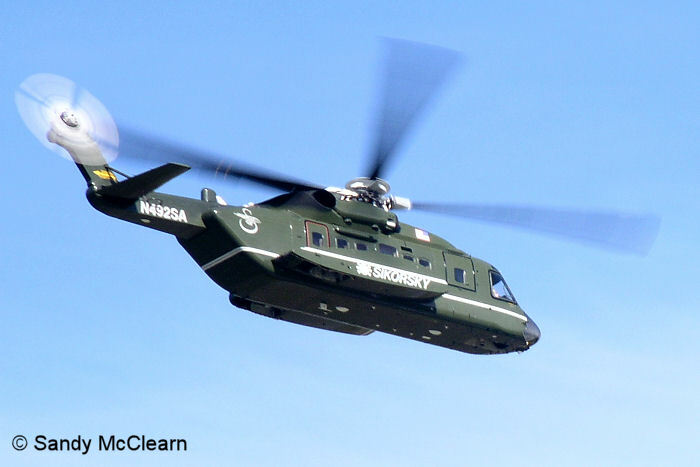 It was announced during the summer of 2004 that Canada's aging Sea Kings will be replaced by the Sikorsky H92, a military version of the S-92. Dubbed the CH-148 Cyclone, the first deliveries are scheduled for 2008. 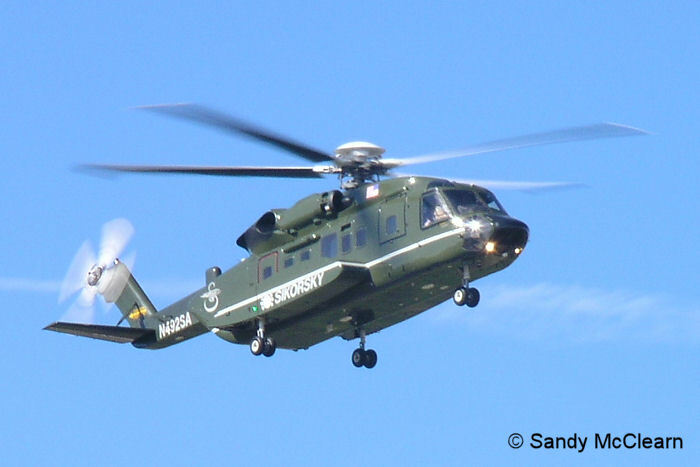 As Canada is the first military customer for the H92, Sikorsky may have their work cut out for them in meeting the 2008 delivery date. 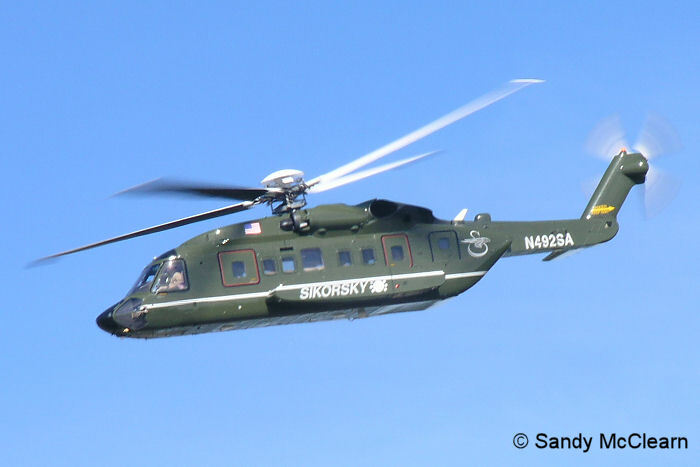 2009 Update: Perhaps not surprisingly, Sikorsky is unable to meet the delivery dates, and is now several years behind schedule. The first helicopter is not expected to be delivered until the end of 2010 at this time, with the entire fleet not operational until 2013. All photos taken during the 2004 Nova Scotia International Air Show, at the Halifax International Airport in Nova Scotia, and feature either a prototype or pre-production H92 (or possibly an S92) helicopter.